This guide will take you step by step to setup wireless security on a Belkin wireless router. 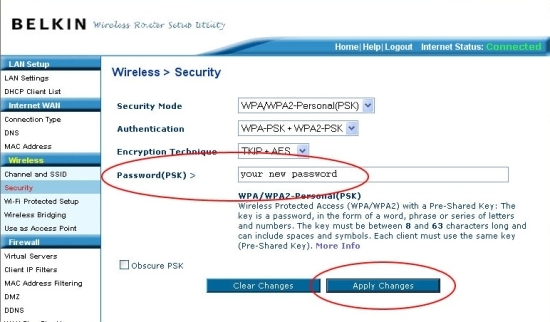 You can also follow these same steps to find your wireless network security key. To begin we will need to connect a computer with an Ethernet cable directly to the Belkin router. You can do this setup connected to the wireless but you will be disconnected from your wireless router at least twice during the setup without using an Ethernet cable. Note: If using Windows Vista or older it is highly recommended to use an Ethernet cable for this setup. First, we will need to use the computer that we have wired directly into the LAN port on the router. 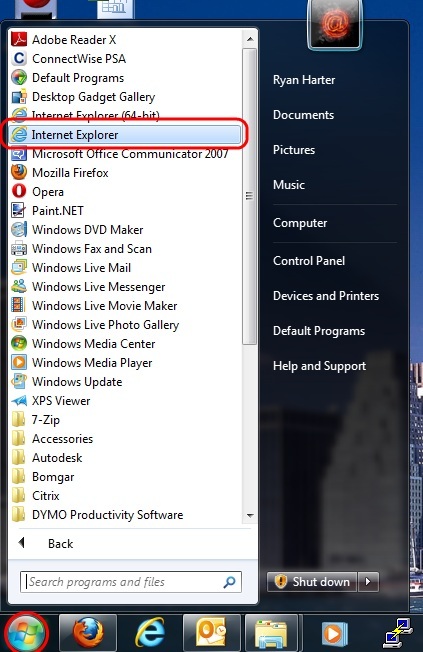 Once you are on this computer, please open your Internet browser (We will be using Internet Explorer for this example). Once you have opened your Internet browser, you will need to clear out the Address Bar across the top. Here you will need to type in http://192.168.2.1 into the Address Bar, and then press Enter on your keyboard. 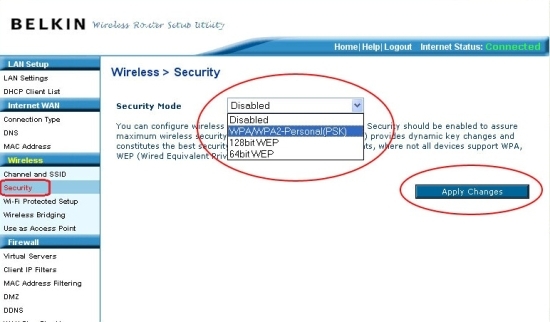 Now you will click on Security on the left side of the screen under Wireless. Then from the drop down box on the right, select WPA/WPA2-Personal(PSK). Next click Apply Changes. You may now be prompted for a password. By default the password is blank, so simply press Submit. Here you should see a box that is labeled Password(PSK) >. In this box is where you will type what you would like your wireless password to be. Once you have entered your password, click on Apply Changes at the bottom. Posted - Wed, Jun 22, 2011 at 9:50 PM. This article has been viewed 47248 times.